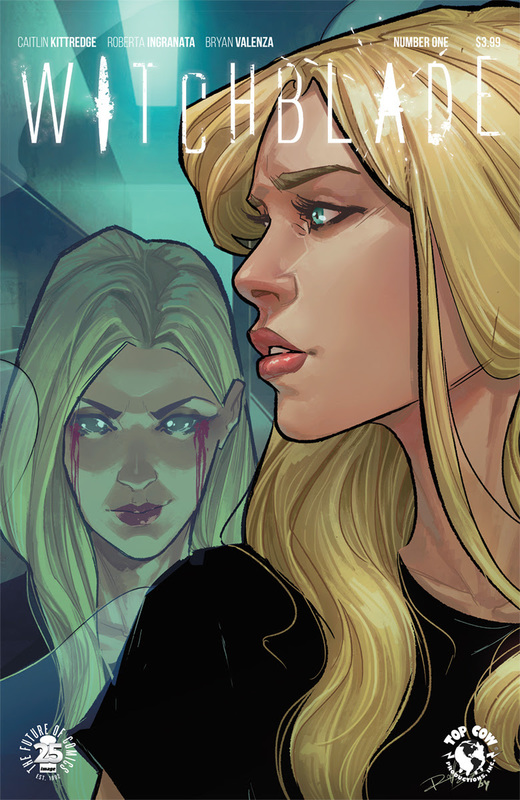 All-female creative team—writer Caitlin Kittredge (THROWAWAYS, Coffin Hill) and artist Roberta Ingranata—join forces for an all-new story about one Alex Underwood, a journalist who thinks she’s seen it all… until she becomes the unlikely host to an ancient and powerful artifact known as the WITCHBLADE. The ongoing series—first co-created by Image Comics co-founder and partner, Marc Silvestri, with Brian Haberlin, Michael Turner, and David Wohl—is set to launch this December. WITCHBLADE #1 drops readers into the action from page one. Gunned down and left for dead on a New York rooftop, Alex Underwood's life should have ended there—but instead, at the moment of death, she became host to the Witchblade, a mystical artifact that grants the woman wielding it extraordinary powers. But the power comes with a heavy cost, and Alex finds herself thrust into the center of an unseen battle raging on the snowy streets of NYC. Demons are real and walking among humans, and every one of them is intent on taking out the Witchblade's newest host before she becomes too strong to kill. But the artifact chose Alex for a reason, and she's not going down without a fight. WITCHBLADE #1 (Diamond Code OCT170557) hits stores on Wednesday, December 6th. The final order cutoff deadline for retailers is Monday, November 13th.